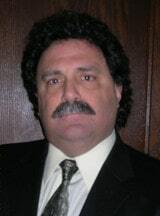 Nicholas D'Amato, a Partner in The Law Office of Tina Sypek D'Amato, LLC, is a retired New Haven Police Detective. He worked as a patrol officer for fifteen years and moved up the ranks to detective. As a Detective, Nicholas worked in the Robbery Burglary Unit and was later assigned to the Sexual Assault and Bias Unit. Because of his experience in the police department, he has the unique ability to look at a police report and critically pick it apart, noticing inconsistencies, inaccuracies and sometimes, downright falsehoods. In addition, because of his experience in policing, he also has knowledge as to how police departments work internally as well as the actions of groups of officers in reference to the phenomenon commonly referred to as the "thin blue line." He knows that although many officers are there because they love people and the law, there are many others carrying baggage and using their job and the people they arrest as scapegoats. Today as a Partner in the Law Firm, Nicholas D'Amato successfully represents people in the areas of Criminal Defense, Civil Rights / Police Misconduct and Personal Injury. He also has trial experience, an uncommon trait of many who call themselves criminal defense lawyers. He will go the extra mile for every client, taking a personal interest in each person. At trial or oral argument, there are few who have extraordinary and unparalleled ability to think quickly on his feet, making intelligent arguments and thinking outside the box, he makes a wonderful advocate for all his clients.